Self initiated - a collection of natural curiosities, artefacts and Victorian Trinkets. 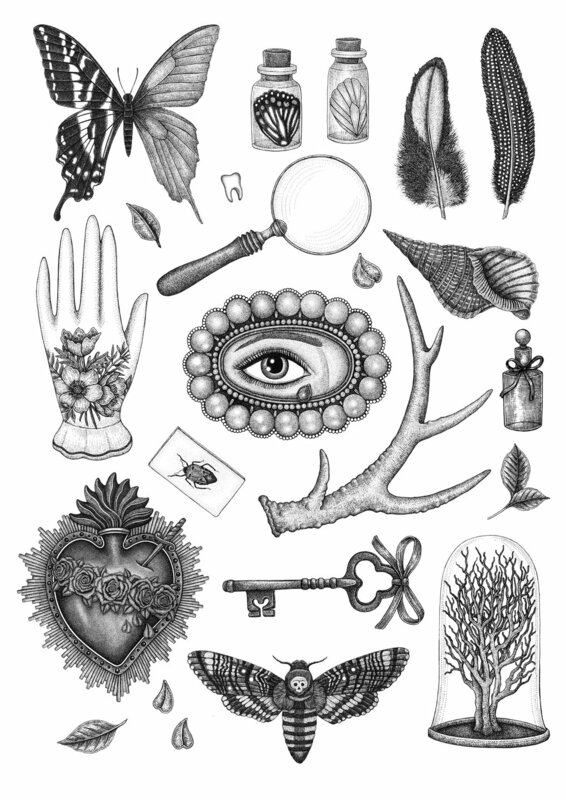 Illustrations include: A porcelain hand, coral bell jar, butterfly skeleton, sacred heart, lover's eye, rare bird feathers, roe deer antler, iron key, bug in resin. Prints available to purchase here.